I think I lucked out this time with the sentence, ´cause this one pretty much sums Hercules Poirot and Miss. Marple as detectives, or at least it does in my opinion. Observation is also a characteristic that I lack, so… maybe that´s why I find it so fascinating and something that I have always liked in the detective stories that I have read. Anyhow, onto the book, I chose The Adventures of the Christmas Pudding as my first Christmas read more than anything as an excuse to read some mystery stories while also fulfilling my intent of being more into the “Christmas spirit”, and so far… I´m liking! A lot! I mean I have read Agatha Christie´s novels in the past –Murder on the Orient Express being the first one I read- and enjoyed them, but these ones, these ones besides the mystery are plenty of fun. The mysteries are quite clever and no all what they seem -which every good mystery has to be-, and at least the first story -the one of the Christmas pudding- did a great job of making me feel all Christmassy so… mission accomplished! Right now, I´m on the last story, which has Ms. Jane Marple as the protagonist, and I´m loving the character! Like I said, in the past I have read some Agatha Christie´s stories, but this is the first time I have read about Ms. Marple, and the only regret I have is not having read any of the novels with her as a protagonist before -something I intend to correct as soon as possible, I saw there´s also a christmas story with her, so… I might include that one next year- . Anyway…, the bottom line is that I totally recomend this book, you can read it whener you fancy a light and captivating read, but since it includes the Christmas Pudding, I do think it´s better to do so in December. But, wwhat are your thoughts? 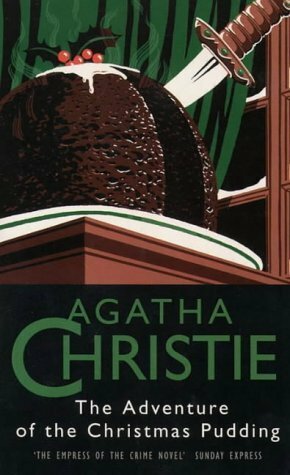 Have you read The Adventure of the Chrismas Pudding or any other story by Agatha Christie? What are your thoughts? What about Ms. Marple? Any stories you´d recommend? This entry was posted in Loved it/Hated it and tagged Books, mystery, Thoughts, weekly meme by jewelgeekyshelf. Bookmark the permalink.